Sam Trickett dominated the 2012 British Poker Awards, taking home three trophies including the coveted Player of the Year honour. Retford's finest is in contention for even more silverware this year and is one of the nominees for the new Live Tournament Player of the Year award at London’s Hippodrome Casino on 3rd March. The 27-year-old got 2013 off to a flier by winning the $250,000 challenge at the Aussie Millions, and ended the year with close to $2.5m in live tournament earnings. That proved plenty good enough to keep him in first place on the UK all-time money list. Joining Trickett on the shortlist are 2013 World Series of Poker bracelet winners Matt Perrins and Matt Ashton. Perrins won a $5,000 No Limit Hold’Em event for almost $800,000, while Ashton’s Poker Players Championship bracelet came with a first prize of more than $1.75m. Rounding out a hugely competitive category are David Vamplew, Stephen Chidwick and Toby Lewis, each of whom recorded multiple six-figure scores in 2013. “The strength of the field shows just how big a year 2013 was for the UK poker scene,” said Michael Caselli, editor-in-chief of Bluff Europe. 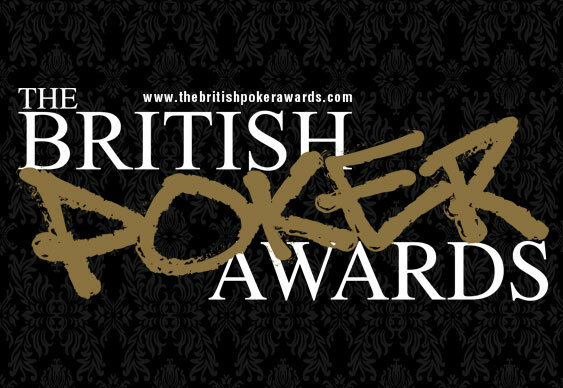 The 2013 British Poker Awards, organised by Bluff Europe magazine will take place on March 3rd at the Hippodrome Casino in London with live music provided by the Dukes of Mayfair.